“Dry noodle soup,” one of my favorite casual Mexican dishes. 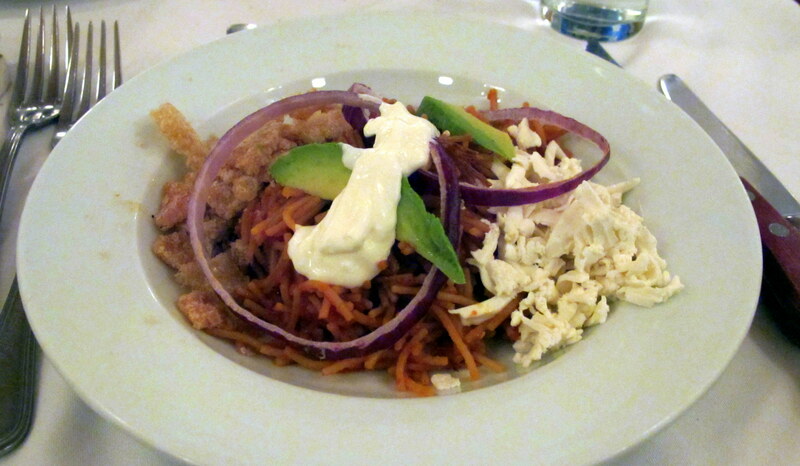 Noodles tossed in a spicy sauce, topped with chicharrones, chopped chicken, sour cream and avocado. This wonderful restaurant in the Roma neighborhood make one of the best. This entry was posted in Food! and tagged Mexican Food, Mexico City, Sobrinoas by brucecritchley. Bookmark the permalink.